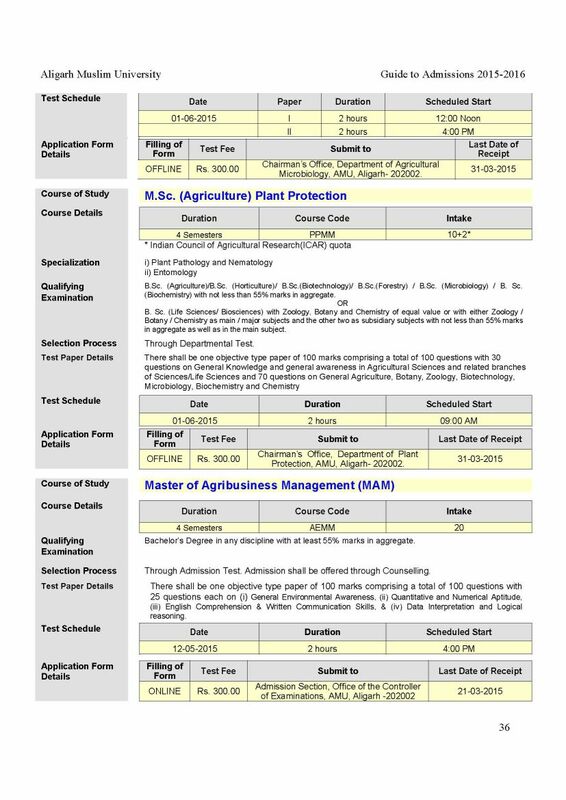 I want to do B.Sc Agriculture from Aligarh Muslim University so can you please give me some details about its admission? 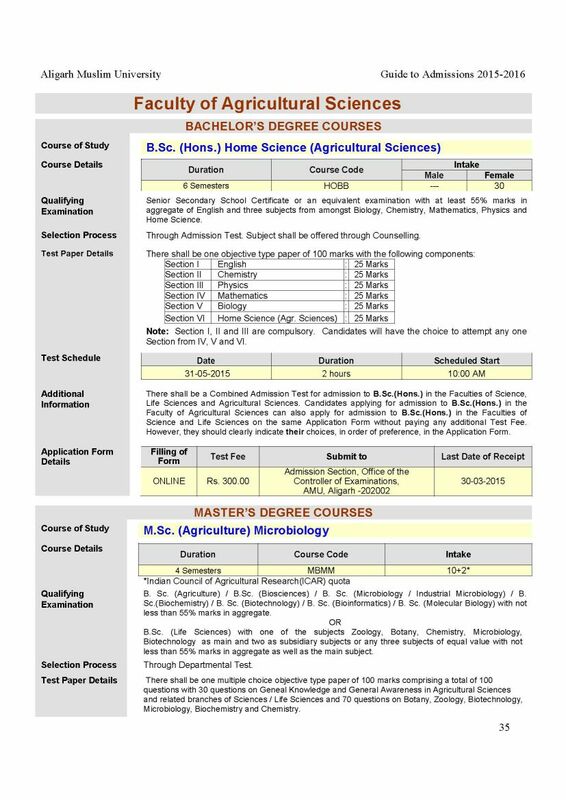 The AMU faculty of Agriculture offers B.Sc Degree in Home Science stream. This course is available for girls only. Candidates must have passed 12th with a minimum average of 55 % in a compulsory English and any three among the optional Biology, Chemistry, Mathematics, Physics and Home Science. The Entrance Exam is a two hour test. 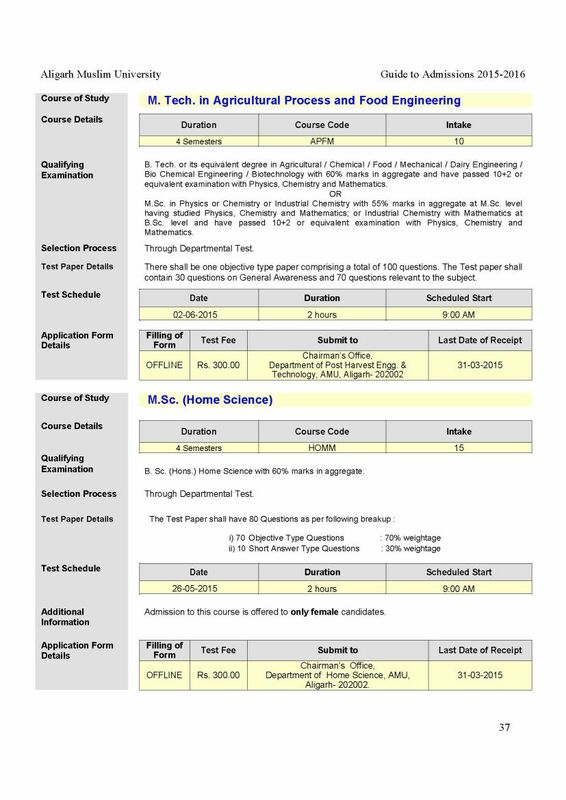 The Entrance Exam for the faculties of Agriculture, Life Sciences and Agriculture is a combined test and is conducted by AMU.